Veterinarians and animal lovers alike have become interested in the many health benefits of CBD oil. Research shows CBD (cannabidiol) can act as an effective analgesic, anti-inflammatory, anti-anxiety, antiemetic, anti-tumoral and anticonvulsant. In this article, you will learn all about CBD oil for horses, and how it interacts with these animals to have so many therapeutic effects. Horses are strong and outstanding creatures, however, they undergo a lot of mental and physical exertion on a daily basis. As a result, even the most bombproof horse sometimes experiences bad days. There are many equestrians dealing with a wide range of issues, from inflammation, joint pain, cracked hooves, stall rest, anxiety, trailering problems, pain, digestive problems and many more. Horse owners will go to all lengths to ensure their animals are leading a healthy and respectful life, from buying expensive over-the-counter pain medication, to advanced touch therapy. 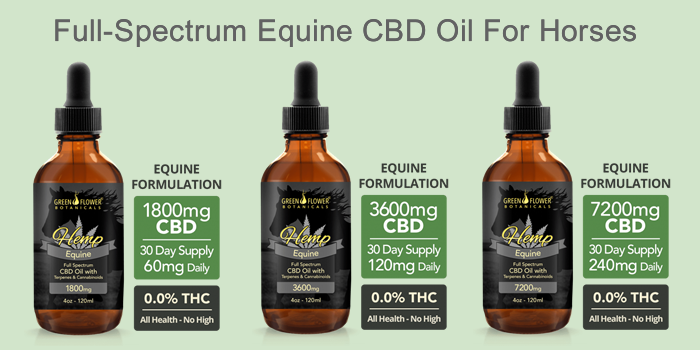 Nevertheless, equestrians may be missing out on a natural, and effective way that could help their beloved animals lead a better, healthier life, that is, the use of full spectrum CBD oil for horses. Currently, there is still stigma surrounding the use of the hemp or cannabis plant in animals since the existing evidence is still small and growing. However, a compound called CBD found in the cannabis plant has been shown to act as an anti-inflammatory, anticonvulsant, antiemetic, antioxidant and antipsychotic agent in mammals. 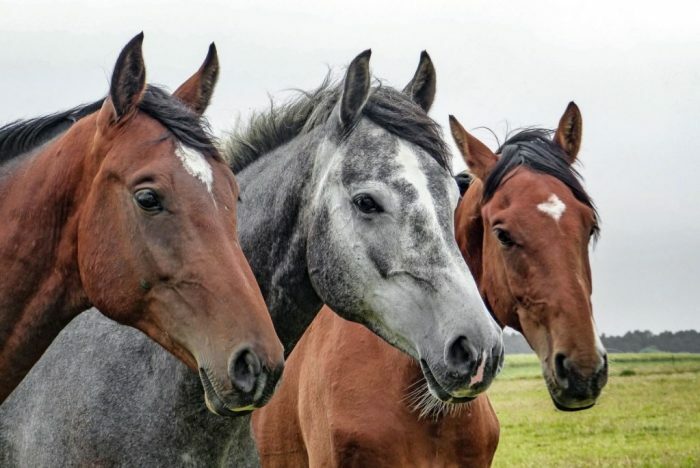 In this article, you will learn all about CBD oil for horses, and how it interacts with these animals to have so many therapeutic effects. What is CBD oil for horses and where does it come from? CBD is a one of the many active chemical compounds found in the Cannabis Sativa plant called cannabinoids. Both the hemp and marijuana plants belong to the Cannabis genus, however, hemp contains less than 0.3% THC levels and is legal across all the 50 states in the US. THC is also a cannabinoid, and unlike CBD, it is known to cause psychotropic effects when ingested in human beings and animals. As a result, it is illegal in most states. CBD does not have any psychoactive effects, instead, it offers a wide range of therapeutic effects, some of which may prove helpful in keeping your horse healthy.  Research into the cannabis plant led Israeli scientists to the discovery of a new biological system found in all mammals called the endocannabinoid system. This system is generally responsible for maintaining biological balance at the cellular level (homeostasis) and it contains receptors (CB1 and CB2) throughout the nervous system and in all major body organs. These receptors are normally activated by natural endocannabinoids found in the body such as anandamide and 2-AG which are produced by the body. Besides endocannabinoids produced in the body, cannabinoids found in plants (phyto-cannabinoids) such as CBD and THC are able to interact with the same receptors naturally and in the process, trigger various physiological processes. For instance, controlling the immune response, pain, moods, development of an inflammation, development of cancerous cells, memory, appetite, just to mention a few. When THC interacts with CB1 receptors which are mostly found in the brain, it causes the famous ‘high’ effect. On the other hand, full extract CBD is non-psychoactive and is known for regulating the response to pain, anxiety, reducing cancer growth and others as we shall see below. There is a lot of evidence, and even more trickling in every day showing the efficacy of CBD in treating various conditions in humans. Since all mammals have an endocannabinoid system, both veterinarians and animal lovers alike have become very interested on how they can leverage the same health benefits for their four-legged companions. The results so far have been very satisfactory, as you can learn in this article about CBD and pets. Unlike cats and dogs, horses require slightly different type of care since they suffer from different kinds of health issues. In the following section, we will look at the various ways of how CBD has proven effective in improving the health of horses. When running up and about in the field, horses are susceptible to many kinds of injuries, including sprains, fractures and wounded hooves. Some may even suffer from a painful inflammation condition called Laminitis. This is especially so because besides handling their massive weights, they also have to put up with the additional pressure of carrying the saddle and the rider. 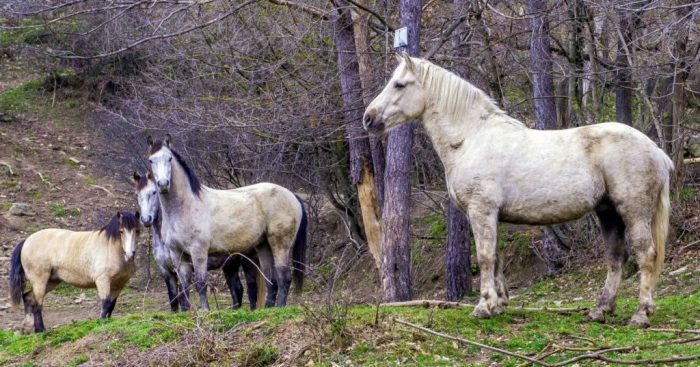 When horses experience inflammation, it will normally manifest in terms of redness, swelling, heat and mostly, it is difficult to spot unlike in humans. Most owners notice inflammation in their animals when they tense up each time that specific muscle has to be moved. According to a study carried out at the Colorado State University, equines and canines showed remarkable reduction in pain after ingesting CBD. This compound reduces nerve-related pain by inhibiting the pain signals coming from the injured cells, and also by reducing the amount of swelling in the area. Furthermore, it has been established that CBD is a more powerful antioxidant, even compared to vitamins C and E.
As already mentioned, CBD contains anti-inflammatory qualities. It does this by reducing the amount of inflammatory cytokines which are known to cause autoimmunity, allergies and hypersensitivity, and also by reducing Th17 dominance. Scientists have found that CBD is able to help patients suffering from arthritis by reducing the pain and inflammation whether at rest or when in motion. CBD has been used effectively to treat horses with inflammations and joint problems. 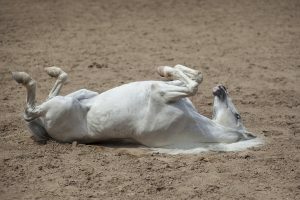 Even though inflammation may sound like a simple problem, and an occasional sore muscle often heals itself, chronic stress and injury can greatly affect your horse’s health and eventually, even lead to death. Full extract CBD provides a safe and inexpensive method of increasing the lifespan of your horse naturally. There will no psychoactive or side effects whatsoever. Like humans, horses may experience anxiety and stress as well. For instance, a lot of horses involved in competitions suffer from “arena anxiety”. Every arena is different in many ways but in most cases, it is worse in indoor, enclosed arenas. Furthermore, the horse seems to feel the anxiety of the rider as well. Horses may get stressed each time they are being trailered since they do not want to be separated from you, after all, they are herd animals. In addition, your horse may be on stall rest, where no matter what toys you come up with, it does not want to stay in the stable at all. 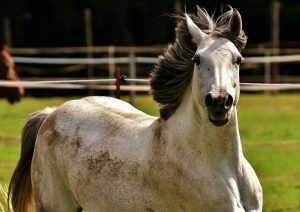 You can also tell that your horse is suffering from anxiety or stress if it manifests a sudden change in mood. These include sudden lack of appetite, reduced activity, aggression etc. If left untreated, stress can lead to depression and ultimately death. Equestrians using CBD oil to reduce anxiety and cure mood disorders report that their horses become calm, more playful and friendly after ingesting CBD oil. Unlike many prescription drugs, cannabidiol has not been reported to affect the horse’s personality. Many horses experience digestive health issues such as lack of appetite, indigestion, bloating, nausea, heartburn end even ulcers. In humans, CBD has been proven to improve appetite and reduce nausea as acknowledged by the National Cancer Institute. Animal studies have also shown that CBD improves digestive health by reducing inflammation in the digestive tract which is normally caused by diets rich in grains. CBD can also prevent allergies. More and more equestrians are including full extract CBD hemp oil in their horses’ diets as a supplement due to its rich nutrient profile. For instance, it contains the essential omega-3, omega-6 and omega-9 fatty acids as well as vitamins A, C, D, E and K. The oil is also a rich source of chlorophyll, gluten-free protein and contains most of the necessary amino acids. Furthermore, CBD oil does not contain any oligosaccharides and trypsin inhibitors found in legumes and soy, which are known to produce gases when in the stomach. There are various ways in which you can give your horses CBD oil, depending on what you intend to treat. First, CBD can be administered orally using droppers or syringes directly on the animal’s tongue. This is most effective when seeking to fight common maladies such as inflammation, joint pain, or even mood disorders such as anxiety. You can include CBD oil into the horse’s feeds or purchase edible equine products infused with CBD. Another method is by applying CBD ointment directly on the inflamed or injured part to reduce pain and soreness. CBD does not cause any side effects. Remember that not all CBD extracts out there are made equal. First of all, some CBD products contain more than 0.3% THC which can cause unwanted effects on your horse. Furthermore, CBD extracted by intrusive methods such as using heat may lack all the therapeutic benefits that come with a full-spectrum CBD oil extract. This contains all the other compounds such as terpenes and flavonoids, which work synergistically with CBD to manifest its healing effects. One of the easiest places to find full-spectrum CBD oil is here at Green Flower Botanicals. Our extracts, such as Green Flower’s CBD Equine Formulas are purely organic and extracted using the best methods to ensure there is no contamination and that all the useful constituents are not destroyed in the process. Note that the global competition rules regarding horses are very strict on the matter of treating your animal before a competitive event. The FEI and United States Equestrian Federation (USEF) warn that the use of products or supplements, including herbal ones that have unknown ingredients should be done with care. Any products causing a calming or stimulating effect in the performance of the horse is prohibited. The good news is that full-spectrum CBD oil is not included in this list. To be safe, however, we recommend not medicating your horse within 48 hours of any competitive event. 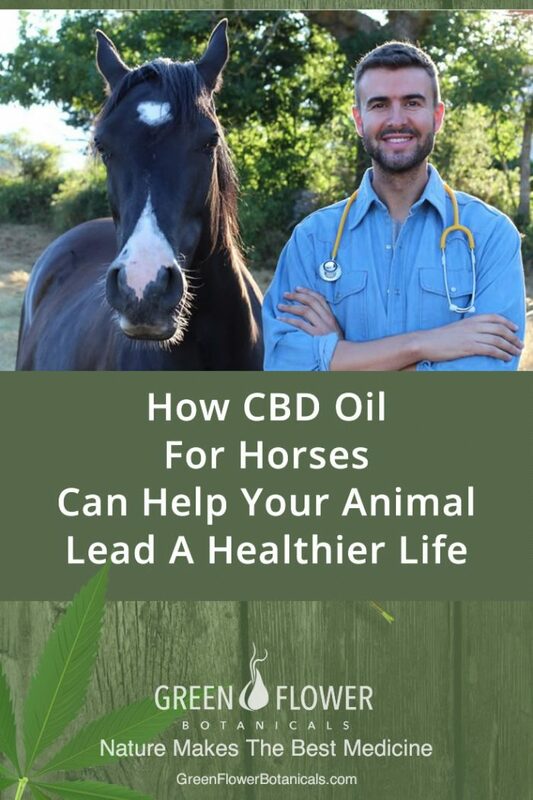 As clearly shown above, CBD oil is a wonder drug with many health benefits that can be used as an inexpensive and natural alternative to treating various conditions in your horse. If you have been trying different kinds of medication to treat some of the issues mentioned above without seeing any improvement, maybe it’s time you took a different route. In the meantime, we will be waiting for more research to understand all the far-reaching effects of CBD in horses.